Kawasaki Ki-100 'Type 5 Fighter' (五式戦闘機: Go-shiki sentouki or abbreviated as Goshikisen). Manufacturer:- Kawasaki Kōkūki Kōgyō K.K. The Kawasaki Ki-100 'Type 5 Fighter' (五式戦闘機: Go-shiki sentouki or abbreviated as Goshikisen). 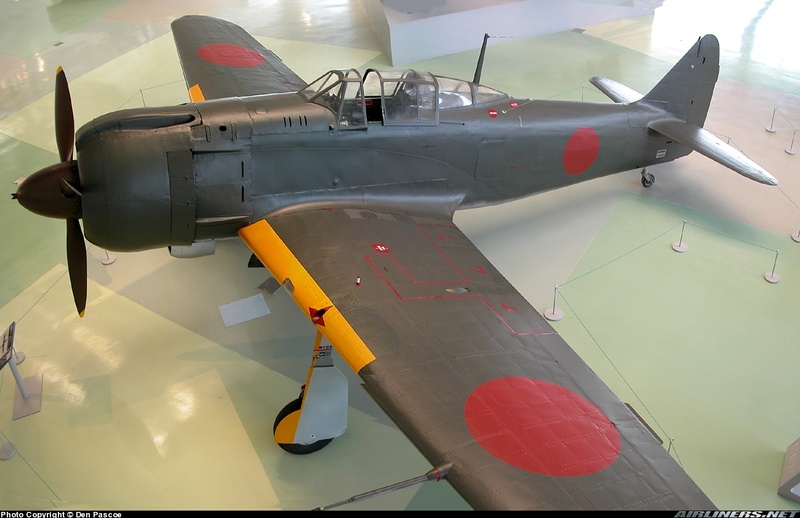 The Kawasaki Ki-100 was a fighter aircraft used by the Imperial Japanese Army Air Service in World War II. The Japanese Army designation was 'Type 5 Fighter' (五式戦闘機: Go-shiki sentouki or abbreviated as Goshikisen). No new Allied code name was assigned to this type; 275 Ki-100 airframes were built as Ki-61s before being modified to accept a radial engine in place of the original inline engine. The emergency measure of adapting a Ki-61-II-KAI fighter to carry a Mitsubishi radial engine resulted in one of the best interceptors used by the Army during the entire war. It combined excellent power and maneuverability and, although its high-altitude performance against the USAAF Boeing B-29 Superfortress heavy bombers was limited by the lack of an efficient supercharger, it performed better than most other IJAAF fighters. Operational missions began in March 1945. From the first engagements, the Ki-100 performed well against the B-29 and showed itself to be equally effective against U.S. Navy carrier fighters. A new variant, the Ki-100-Ib, was produced during the last weeks of the war in time to equip five sentai for home defense duties.